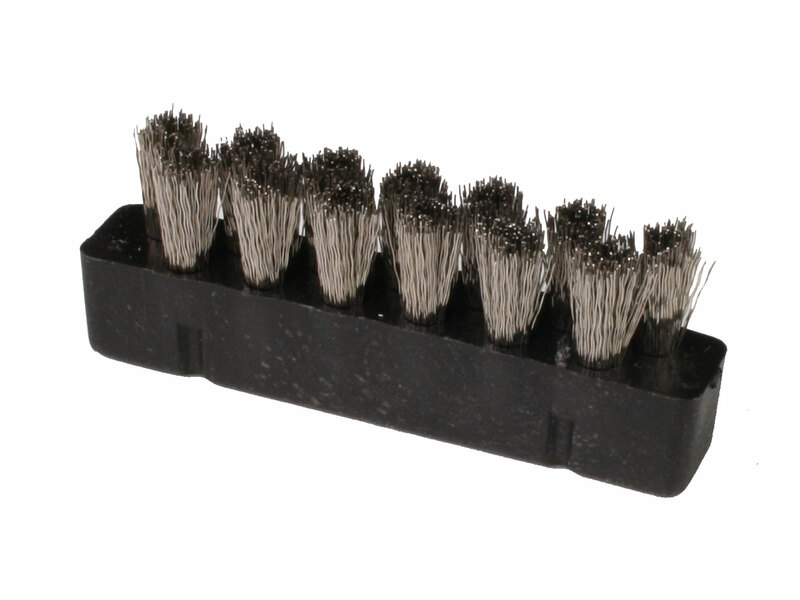 The metal brush is a little bit more aggressive than the sponge, but it cleans the tip very well. It is especially effective if used gently. It can be housed in the stand together with the sponge by cutting the compressed sponge through the dash line.